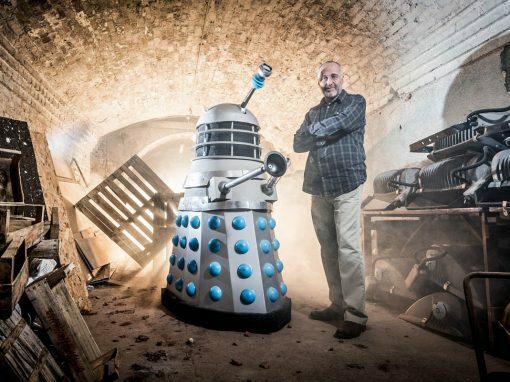 Being fortunate enough to travel the world and do a job you love is very special. 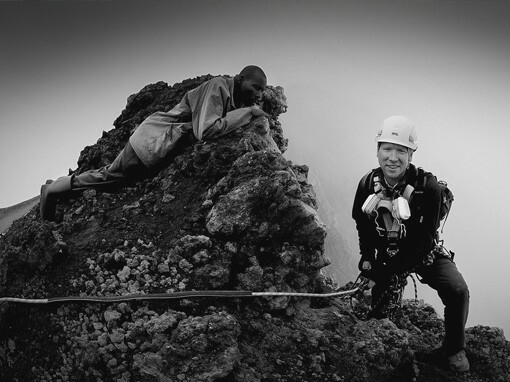 I have been privileged with some amazing trips to far-flung and often inhospitable locations around the world. 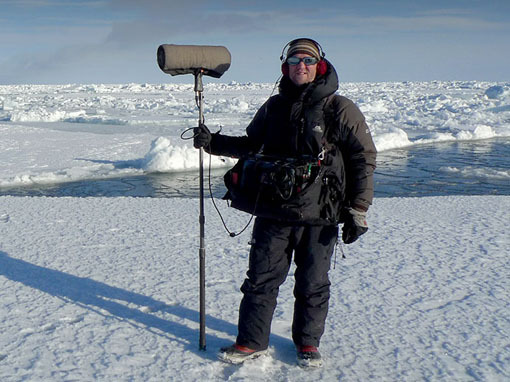 Capturing sound in these environments presents many challenges whether it be physically and mentally demanding or an extreme weather environment, finding solutions and techniques to overcome these situations can be immensely satisfying. 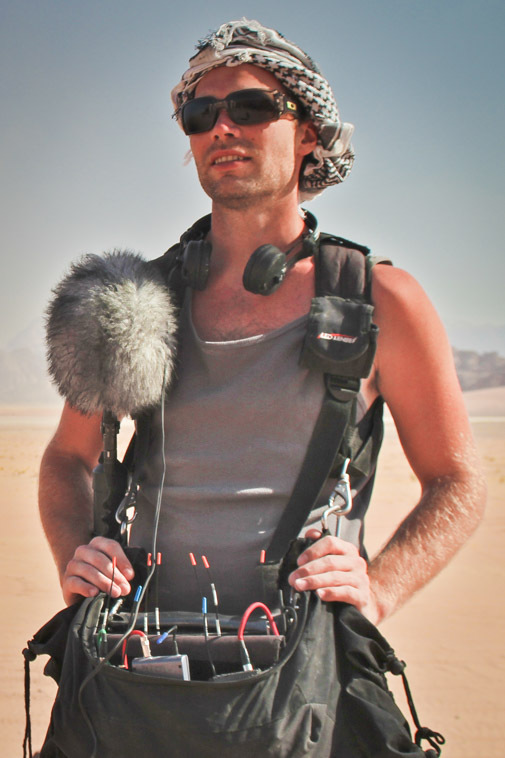 Many types of kit have come and gone through my career but I think the only constant and still the best all round solution for microphone shock mounting and wind protection is Rycote. 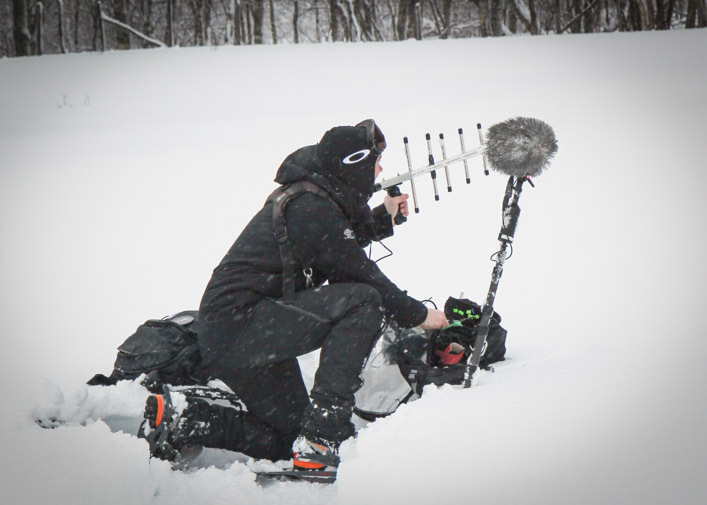 Gathering sound for “71 Degrees North” on one of the team challenges, the deep snow made for a perfect boom holder but I wish I could find a way of operating the 788t with gloves on… brrr. 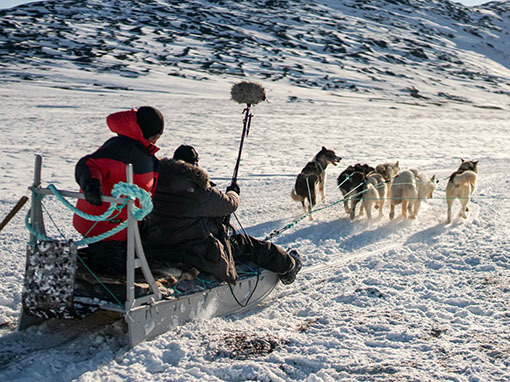 The contestants are told they are about to see how far they can swim across a near frozen Norwegian fjord. 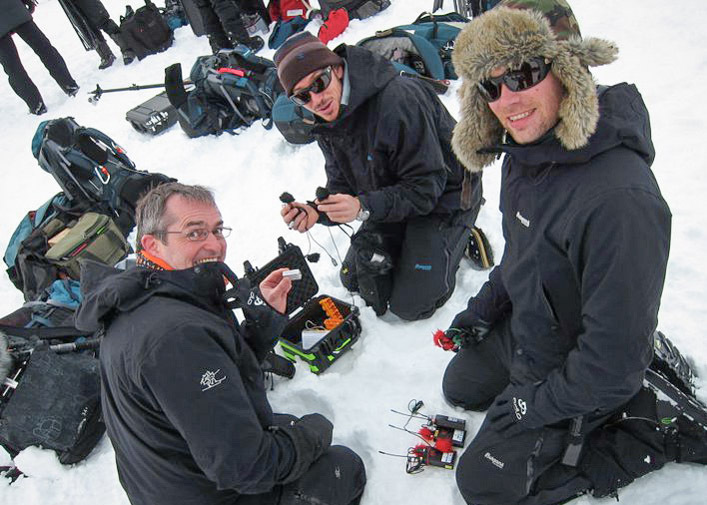 Prepping mics with Kiff McManus (left) and Pete Lee (middle) on “71 Degrees North” in Norway 2011. Matching coloured wind gags to jackets blended them in and made it possible to mount away from the horrible sounding GoreTex material. 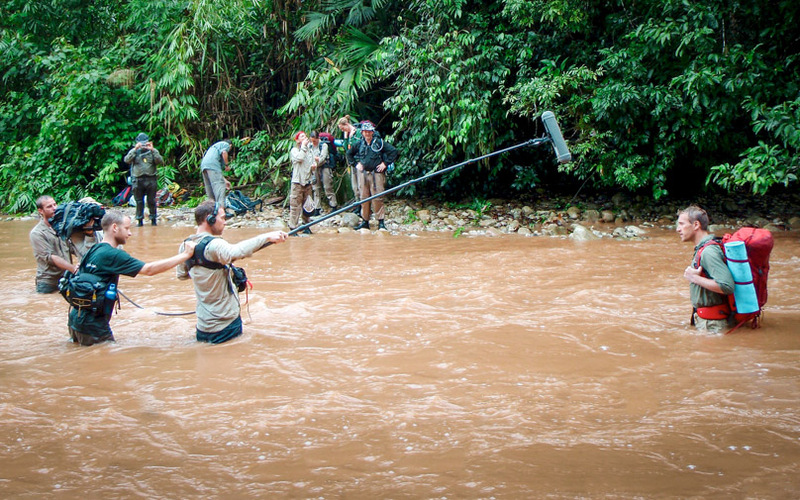 Ben Fogle delivers lines filming his series “Extreme Dreams” deep in the Peruvian Amazon. 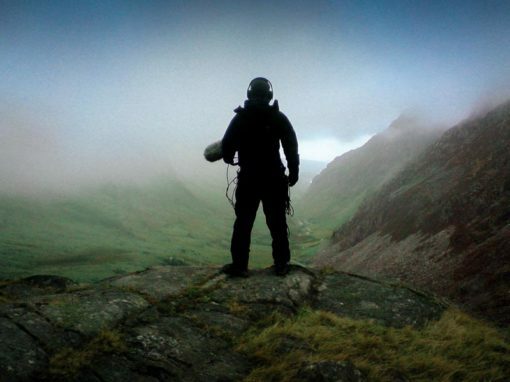 Two weeks of heavy rain and humidity still couldn’t kill my Sennheiser 416 inside the Rycote. 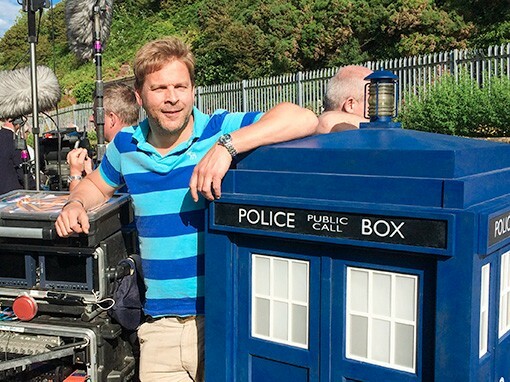 Every glimpse of sunshine I would get the jammer off and try to dry it out as much as possible in the jungle. Filming Power Struggle for Al Jazeera in Wadi Run Jordan. 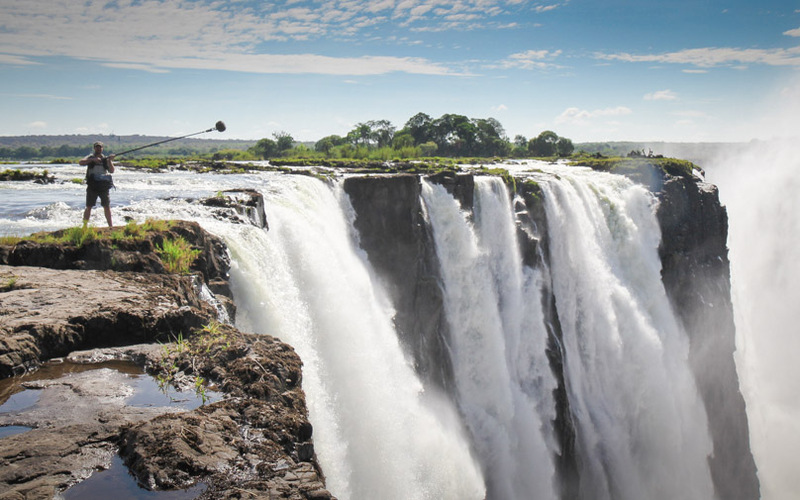 After two weeks of tracking David Livingstones route we made it to the falls which are known locally as “Mosi-oa-Tunya” or the “smoke that thunders”. This is after the amazing updraft of wind and spray that is carried past this point and high into the sky above. 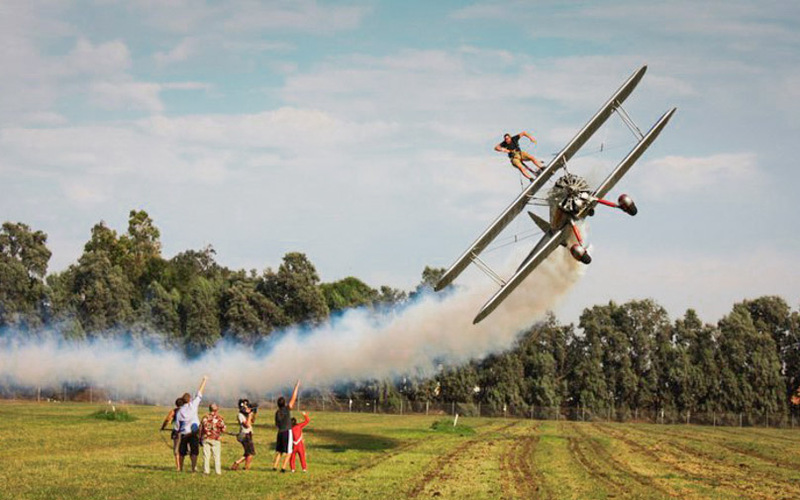 Still no wind noise as James Cracknell peered over the 1,708 m wide 108m high falls. 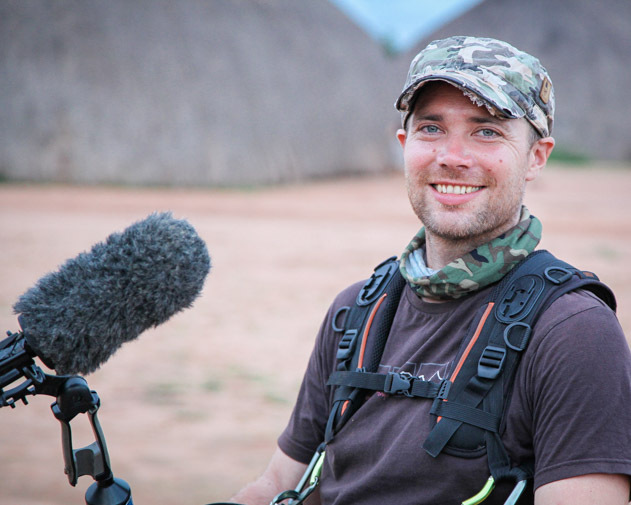 Filming the final scene of “Worlds Toughest Expeditions” in Zimbabwe. 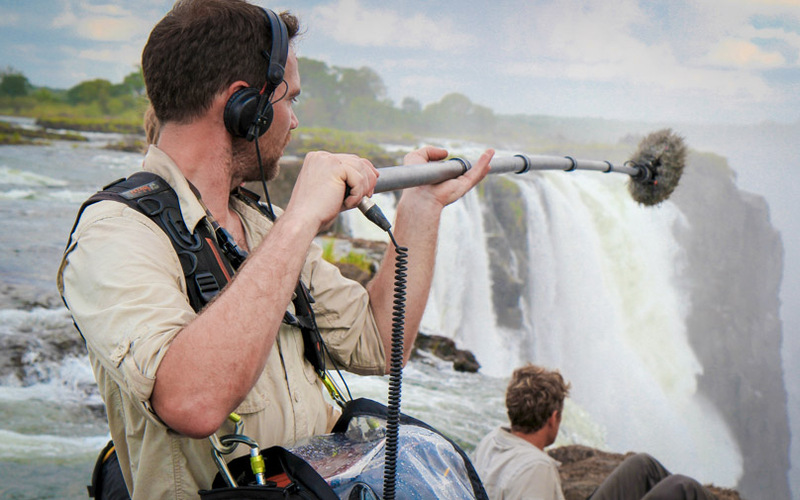 James Cracknell takes on the toughest moments of some of the toughest expeditions in history. 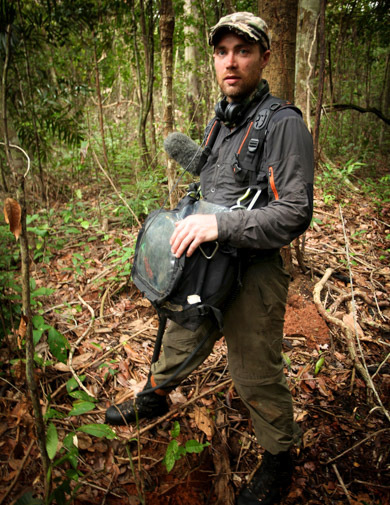 Tackling some of the most brutal environments on the planet, Cracknell investigates some of the greatest journeys on Earth, gaining a unique and immersive insight in to world exploration. Keeping the kit dry and free on mud was a thankless task especially when leafcutter ants decided my rain bag would be a tasty meal leaving it looking like a teabag. 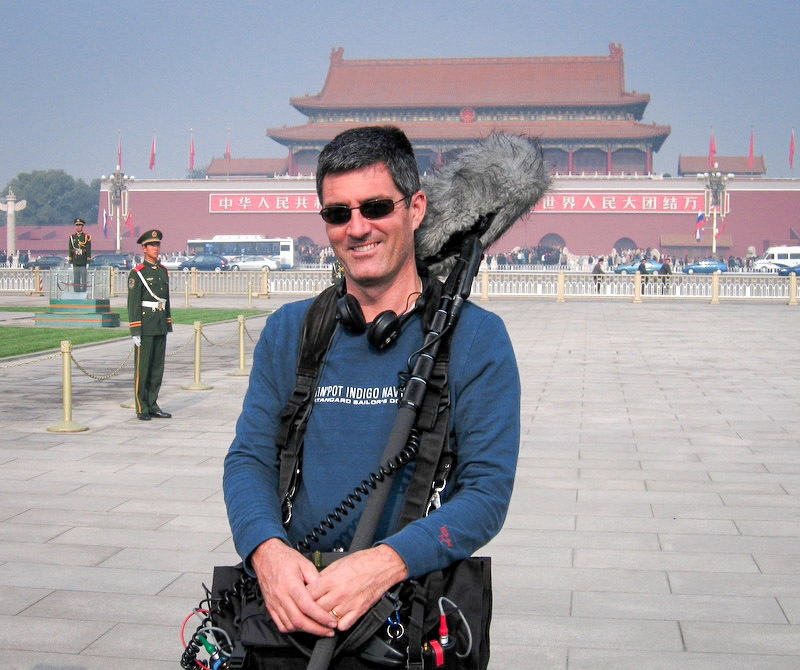 I found that using two Rycote Softies was a better option than a standard basket and jammer setup as they dried out quicker next to the fire in the evenings. 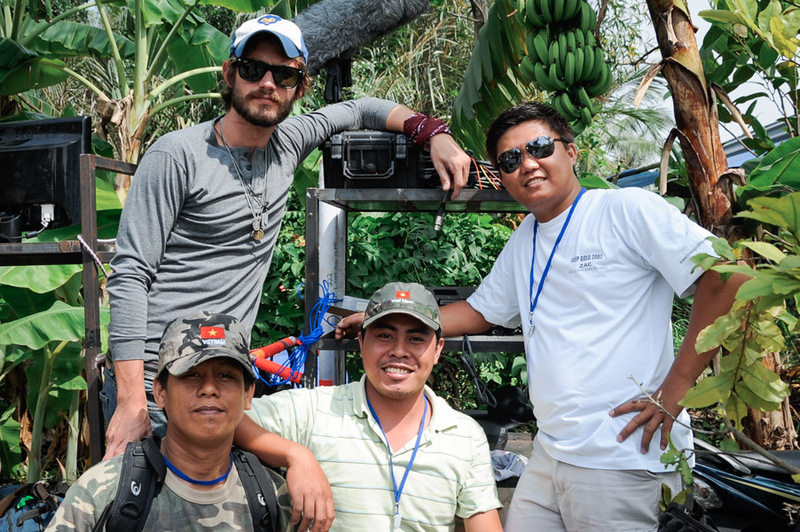 Image left: Filming with the Yawalapiti tribe deep in the heart of the Amazon in 2011. 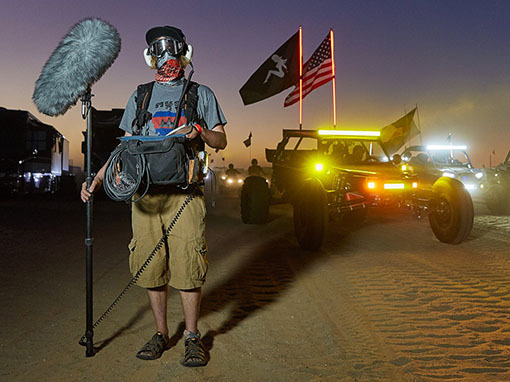 Stay up to date with the latest adventures, Rycote product news and events!